No, not Christmas time. But it’s pretty close! This week marks the glorious Homecoming week at Oklahoma State University, known for America’s Greatest Homecoming Celebration. 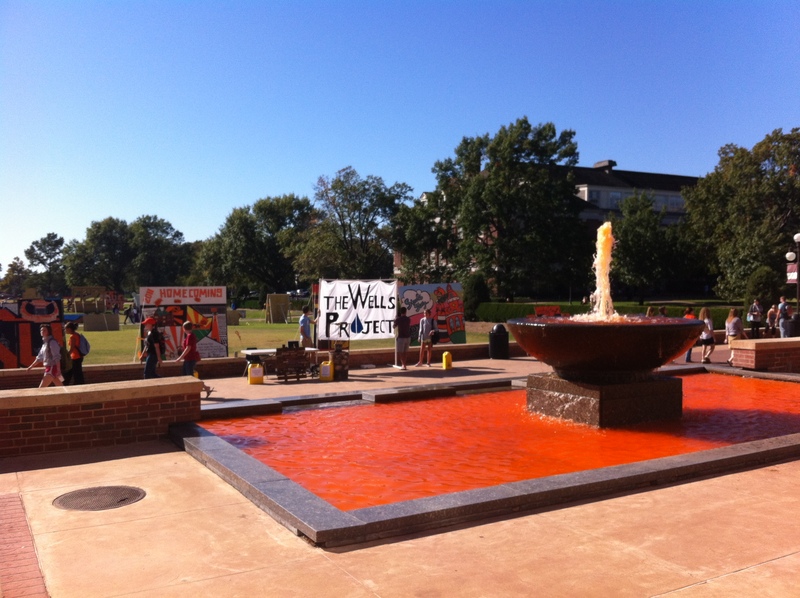 The fountain's orange...it must be homecoming! Anyone who doesn’t go to OSU should be insanely jealous of our awesome orange fountain (only orange for homecoming week of course…it’s pretty and blue the rest of the year). The orange fountain is just one of OSU’s many homecoming traditions, from the football game to the parade to the Greek houses’ floats to the signs you see in that picture on Library Lawn. My favorite part of homecoming week is the Walkaround that takes place Friday night. Everyone walks around to see all the Greek houses’ floats that they’ve made. 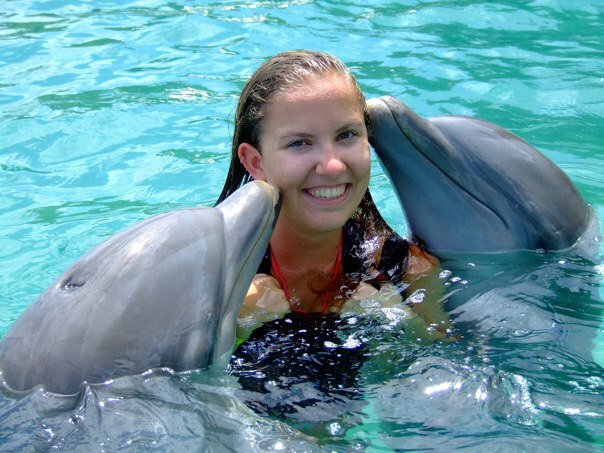 And when I say floats, you wouldn’t understand until you see them. They are no ordinary homecoming parade floats. I’m not in a Greek house so I’m not positive on the details, but as far as I know, they start working on these floats as early as the beginning of the semester, and the week of homecoming is a long one of long nights and hard work. I love looking at the floats; it’s probably my favorite part of homecoming, so in my opinion, the students’ hard work pays off…for everyone else, at least. The atmosphere of homecoming week is unlike any other. Everyone is in a great mood and Stillwater and the OSU campus are overflowing with students, parents, alumni and whoever else wants to join in on the country’s greatest homecoming celebration. Given it’s also Halloween weekend, I can’t say for sure I’ll be up and ready for the 9 a.m. parade (my friends and I were all hoping for a night game), but I’ll try my hardest and either way, I know it’s going to be a great weekend!